So the world’s supposed to end tomorrow. Again. These apocalypses have been coming thick and fast lately; it’s getting so that each end of the world is within sight of the previous end. Of all the strange ideas that religions have given us, the end of the world is the most insidious. While some may choose not to believe it, many politicians of record have actively attempted to provoke the end of time to force the divine hand at bringing a little bit of heaven to earth. Scary thing is, some of them had the power to annihilate us all in the process. Unlike past eschatons, however, this one derives from the interpretation of Mayan artifacts, strangely making it more believable to some people. Those exotic peoples of the past! They just knew so much more about worlds ending than we do. And I know otherwise intelligent people who believe that this is the last day of the earth. Of course, if we take the earth’s temperature there does seem to be some cause for alarm. That’s not the Mayans’ fault, though. Some of these self-same fracking politicians have insisted that since the Second Coming is near it is alright to destroy the ecosystem that supports all life on the planet. Those are pretty high stakes if they turn out to be wrong. Oh, but they can make a healthy profit margin on the side, so at least they can go out in style. 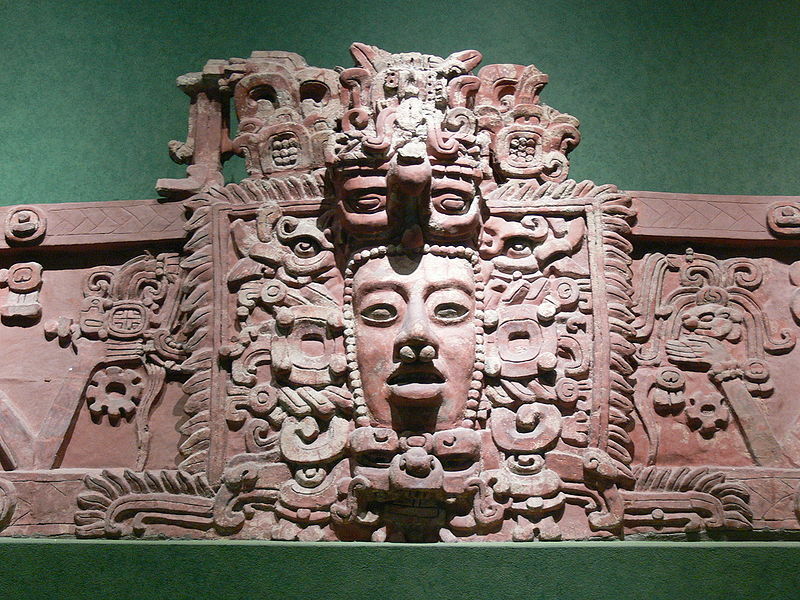 But what would a Mayan apocalypse mean to the firmly committed Christian? It would be very hard to recover from that, should Q’uq’umatz be behind it all. The events of the past week have been more than a little rough. And the self-same politicians line up on the side of the NRA as they campaign for Jesus’ early return plan. The overall prognosis seems iffy at best. It is like the feeling the dinosaurs must’ve had on the evening of the asteroid. Some of them had brains the size of walnuts, an allegory too plain to require spelling out. What these eschatological episodes teach us is that human life is fragile. Madmen with guns remind us of the same point. I’m expecting, however, that things will be pretty much the same as ever tomorrow morning. I’ll be expected at work, the wheels of the sluggish economy will turn ever so slowly, and politicians will keep doing what they do best. Those counting on Mayan counting will find themselves in the company of Jehovah’s Witnesses and Harold Camping. All of us will find ourselves in a world where religion is perhaps the only power actually capable of total destruction. But if we wake up with aliens swarming the planet tomorrow we’ll honestly be able to say that we’d been warned. Having just survived a year with two purported Christian apocalypses, we now enter 2012 with its more potent Mayan apocalypse. The mysterious Mayan people, we are led to believe, could not foresee a world beyond 2012, and many otherwise rational people are seriously nervous about it. Whether it is the unread pages of the Bible or some stone inscription in a language most people have no hope of verifying, we venerate ancient wisdom. Especially when that wisdom indicates the dissolution of the entire world. I would suggest that the reason we do this has to do with the society the Bible built. All the available evidence suggests that many early Christianities existed. Even the early disciples couldn’t always agree among themselves. Serious research over the past several years has indicated that what won out as “orthodox” Christianity was but one stream of the many faiths inspired by Jesus’ life and teaching. Gnosticism, surviving only in very small pockets today, was equally deserving of the title “Christian” and perhaps even outnumbered the “orthodox” variety early on. Other sects and splinter groups counted themselves among the followers of Jesus only to be labeled “heretics” by more dominant groups. Eventually one branch received government sanction and became the official copyright holder of the title “Christianity.” Amid all this confusion brewed a concern of correct teaching. The main reason was that many early Christianities believed the end of the world was imminent. Gathering the writings to prove their point (more or less) into the Bible, this “orthodox” variety continued to grow and splinter. By the end of the First World War, technology had revealed just how much damage people could do to one another. “The war to end all wars” proved to be anything but, launching the world into a sequel within less than two decades. These wars were apocalypses in the own right for millions of people. Armchair theologians yearned for that old time religion and since saints and apostles were all long gone, the Bible was the only thing tangible left. Throughout the twentieth century the Bible grew in grace and stature until it became a god itself. Because of the veneration of this now ancient document, other ancient texts became sacred by association. Enter and exit the Mayans. These people would have been forcibly converted to Christianity, had they hung about. Because their writings are old, however, they are treated like Scripture. Therefore we tremble. You don't have to read it to believe it! We have lost our fluency with ancient rhetoric. Our finesse with self-destruction has underscored the point. 2012 will not see the end of the world unless it is caused by our own death-wish that has grown from the Mayan earth heavily fertilized by misinterpreted writings of early Christianities. While an actual apocalypse for many turkeys ensued on Thursday, Fox News announced that a second reference to the Mayan apocalypse has been “admitted” by Mexican authorities. So I guess the world will end next year after all. And it figures, I just finally got a full-time job. For some reason, for all of our modern technology and scientific knowledge, many people still fear ancient “prophecies.” This remains true after countless failed apocalypses, two of them just this year proposed by Harold Camping in the name of the Almighty. People who trust the science of their cell phones—which, from any trip to the airport or bus station proves, humans are incapable of surviving without—nevertheless fear the “lost knowledge” of the ancients who believed myths were the most parsimonious means of comprehending a cold and uncaring universe. Yes, I’ll trust my entire life, finances, travel plans, social calendar, to a plastic box barely the size of a credit card. But if the Mayans said the world was going to end… these are the Mayans, after all! The Mayans! Never mind that we know little about this antique people; we have had predicted ends to the universe from disaffected visionaries and disgruntled prophets ever since the Zoroastrians suggested this might not go on forever. And now that two predictions appear to coincide, it looks like its time to sell some stocks, cash in some IRAs and party like it’s 1999. When 2000 came in with its baleful symmetry, as some saw it, with events two millennia earlier, not many were dissuaded from the concept that never emerges. Doesn’t the book of 2 Peter state that the universe is reserved for a fiery destruction? Perhaps the Mayans had access to Holy Writ? The fact is that most cultures concoct origin myths, stories of beginnings. The way the mind works, it is almost a necessary corollary to construct myths of the end as well. And somehow we trust that arcane knowledge on such matters is more accurate than the scientific scenario that, given the limited longevity of any single species, no humans are likely to be present when old Sol balloons out to be a red giant. Far more spectacular to suggest some ancient sage or savage saw it coming and grow anxious with the waiting. Strangely, many people seem ready to discard all the progress, the monuments, the essence of our humanity for the sake of ancient predictions. 2013 does not seem so far away. Many of us are planning to be here, even if they find an entire library of Mayan predictions. Perhaps the truest prophecy of all is that we, as humans, make our own future no matter what other humans have said in the past. Momma Maya, Is It the Apocalypse Already? Where have all the Maya gone, long time passing? While recently reading a Gorgias Press book on the Maya (Sam Osmanagich’s The World of the Maya) I couldn’t help but notice the concern of the author with the year 2012. Actually, Osmanagich is looking forward to 2012; it will be when a new era in human existence begins. Since he freely admits throughout the book that extraterrestrials provided technical support in the Mayan monumental architecture, I suppose the fixation on 2012 should not be surprising. The book is charming as a folksy travelogue and disarming in its innocent sense of wonder, but academic it is not. Concern with the end of the world as we know it seems to have entered the Judeo-Christian tradition with Zoroastrian contact. As soon as the idea was conceived it was immediately apparent that this was going to be a very large baby, and it has not disappointed. Back in my rural Pennsylvania high school, concern that the world would end in 1980 was seriously rampant. (Considering that the Reagan-Bush years were about to begin, it makes sense in retrospect, at least on a metaphorical level.) Worry ran so high that on the stated day — noon was the confirmed hour of doom — my English teacher laid down her grammar book and had us spend our final earthly minutes writing an essay arguing why the world was, or was not, going to end that day. When the class-bell rang, other than some soiled undergarments, everyone seemed pleased still to be there. I was at Nashotah House for Y2K. A prominent administrator insisted that we all prepare for the likely event of a societal collapse. (From my present vantage point, I’d rather have taken my chances just about anywhere else.) Yet here I am to recount the tale. Now only a dozen years down the road from Y2K we are being told to prepare for yet another apocalypse. 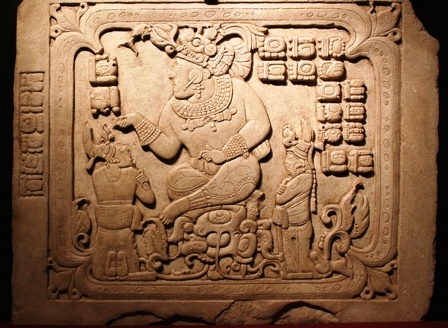 People I speak to seem genuinely concerned about this one, and even I had a shiver or two as Osmanagich calmly laid out how the Maya just didn’t make mistakes like that. As I see it, there are two choices: people should study the origins and rationale of apocalypticism or someone should start a business selling Apocalypse insurance (the name Four Horsemen might be catchy). People seem ready to believe that extinct civilizations knew something about our fate that we just can’t see. And if the world does end in 2012, well, you wouldn’t want to have all those premiums weighing you down by then, would you? The Four Horsemen -- would you buy insurance from them?